Submitted photo This photo shows Smith Advertising, 1928, on East Main Street. Smith Advertising made advertising novelties like calendars and note pads. This building was built in 1869 as Allison, Eavey & Carson wholesale grocery, on the site of Nathan Nesbitt’s pottery factory. Later it housed Central Auto Parts and the Greene County Archives. This photo shows Smith Advertising, 1928, on East Main Street. Smith Advertising made advertising novelties like calendars and note pads. This building was built in 1869 as Allison, Eavey & Carson wholesale grocery, on the site of Nathan Nesbitt’s pottery factory. Later it housed Central Auto Parts and the Greene County Archives. https://www.xeniagazette.com/wp-content/uploads/sites/32/2018/06/web1_Smith-Advertising-1928.jpgSubmitted photo This photo shows Smith Advertising, 1928, on East Main Street. Smith Advertising made advertising novelties like calendars and note pads. This building was built in 1869 as Allison, Eavey & Carson wholesale grocery, on the site of Nathan Nesbitt’s pottery factory. 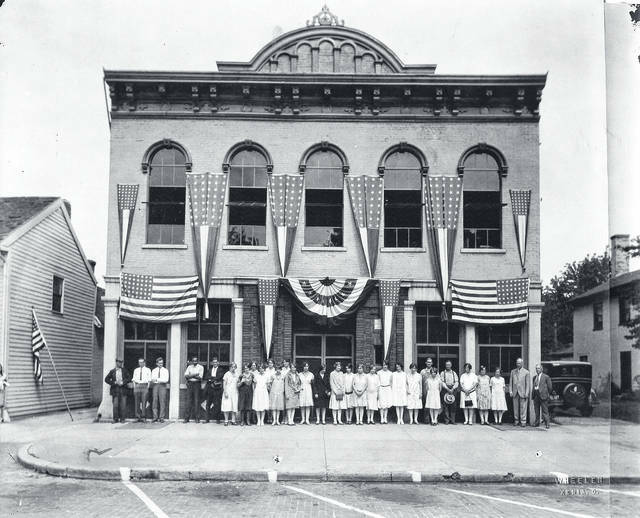 Later it housed Central Auto Parts and the Greene County Archives.